Emma Daniells qualified as a Doctor of Chiropractic after previously undertaking an honours degree in Clinical Sciences at Kings College in London. She spent the first four years of her career working at Orpington chiropractic clinic progressing to Head Chiropractor. During this time, Emma built an extensive patient-base, treating a range of conditions from chronic degenerative disorders to acute sporting injuries. In 2006, with her business partner Ben Glenister, founded Bodymotion Chiropractic and Sports Injuries Clinic. A city based practice committed to working with patients to achieve their individual health goals. She understands the importance of team work within healthcare and regularly receives referrals from allied healthcare professionals such as orthopaedic consultants, neurosurgeons, GP’s, personal trainers and sports coaches. In 2008, Emma travelled to the International Olympic Committee in Lausanne Switzerland to complete the International Chiropractic Sports Science Diploma (ICSSD). Subsequently, Emma has enjoyed working with the Cambridge Harriers at The British Athletics League national meetings and has also enjoyed treating international hockey players at the Hockey Masters World Cup. Within the clinic setting, Emma utilises a range of techniques including manipulative therapy and soft tissue release techniques, kinesiotaping and sports massage to help improve performance, decrease pain and improve function. 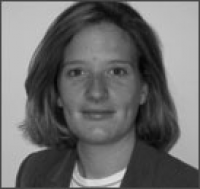 Emma is one of only a few female chiropractors working in the city of london (EC1) and along with a keen interest in running injuries and rehabilitation, Emma also enjoys treating headaches and postural related injuries.